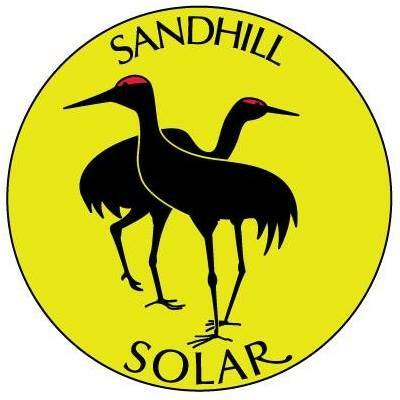 Sandhill Solar provides quality solar installations for homes and businesses in the sunny San Luis Valley. Solar energy is a clean alternative to electricity from fossil fuels and the sun has limitless energy to provide us! Sandhill Solar's owner, Laura Conchelos, started her solar career by studying with Solar Energy International (SEI)in Paonia, Colorado. She worked for three years in Santa Fe, New Mexico, for Positive Energy, one of the state’s largest solar companies. While there she obtained her NABCEP Professional Installer Certification and Residential Wireman's license. Laura moved to Monte Vista, Colorado in 2016 to work for Solar Gain Services, installing and servicing systems around the San Luis Valley. That year she also began teaching solar classes for SEI. She enjoys introducing students from around the world to the benefits of solar energy. Laura is a board member of the San Luis Valley Housing Coalition. When not teaching or installing, Laura enjoys playing outdoors; hiking, skiing, fishing, gardening and exploring the local landscape.